The Report Card on Quebec’s Secondary Schools collects a variety of relevant, objective indicators of school performance into one easily accessible, public document so that all interested parties—parents, school administrators, teachers, students, and taxpayers—can analyze and compare the performance of individual schools. Parents use the Report Card’s indicator values, ratings, and rankings to compare schools when they choose an education provider for their children. Parents and school administrators use the results to identify areas of academic performance in which improvement can be made. Of course, the choice of a school should not be made solely on the basis of any one source of information. Families choosing a school for their students should seek to confirm the Report Card’s findings by visiting the school and interviewing teachers and school administrators. Parents who already have a child enrolled at the school can provide another point of view. Useful information may also be found on the web sites of the Ministry of Education and Higher Education and Research (hereafter, MEES), local school boards, and individual schools. In addition, a sound academic program should be complemented by effective programs in areas of school activity not measured by the Report Card. Nevertheless, the Report Card provides a detailed picture of each school that is not easily available elsewhere. Certainly, the act of publicly rating and ranking schools attracts attention; attention can provide motivation. Schools that perform well or show consistent improvement are applauded. Poorly performing schools generate concern, as do those whose performance is deteriorating. This inevitable attention provides an incentive for all those connected with a school to focus on student results. However, the Report Card offers more than motivation; it also offers opportunity. The Report Card includes a variety of indicators, each of which reports results for an aspect of school performance that might be improved. School administrators who are dedicated to improvement accept the Report Card as another source of opportunities to improve. To improve a school’s results, one must believe that improvement is achievable. This Report Card provides evidence about what can be accomplished. It demonstrates clearly that, even when we take into account factors such as the students’ characteristics, which some believe dictate the degree of academic success that students will have in school, some schools do better than others. This finding confirms the results of research carried out in other countries. Indeed, it will come as no great surprise to experienced parents and educators that the data consistently suggest that what goes on in the schools makes a difference to academic results and that some schools make more of a difference than others. Comparative and historical data enable parents and school administrators to gauge their school’s effectiveness more accurately. By comparing a school’s latest results with those of earlier years, they can see if the school is improving. By comparing a school’s results with those of neighbouring schools and of schools with similar school and student characteristics, they can identify more successful schools and learn from them. Reference to overall provincial results places an individ¬ual school’s level of achievement in a broader context. There is great benefit in identifying schools that are particularly effective. 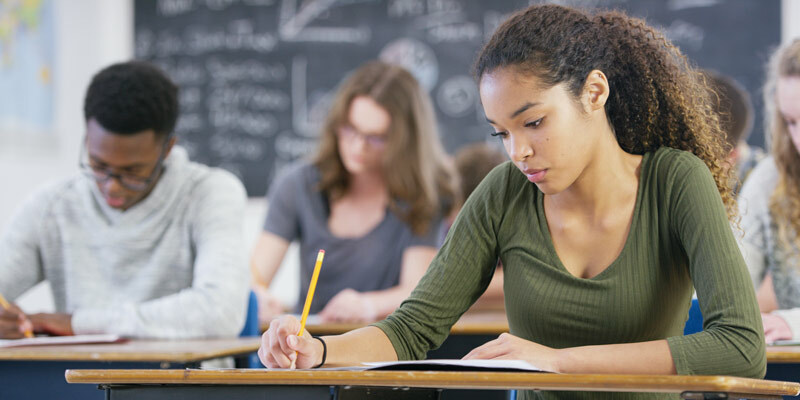 By studying the techniques used in schools where students are successful, less effective schools may find ways to improve. Comparisons are at the heart of improvement: making comparisons among schools is made simpler and more meaningful by the Report Card’s indicators, ratings, and rankings.